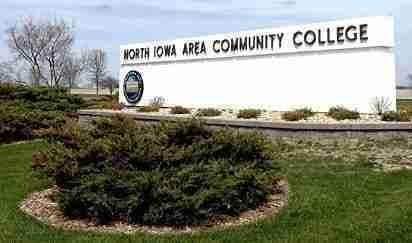 Mason City, Iowa – NIACC’s Adult Education and Literacy Program was recently awarded an Integrated Education and Training grant by the Iowa Department of Education. The grant is designed to provide classes that combine specific career training activities with basic skills instruction in math and literacy related to that field. According to the Iowa Department of Education, the overall goal of the Integrated Education and Training format is educational and career advancement. Participants can afterward move into employment or move further along a career pathway. NIACC’s grant will focus on manufacturing and healthcare. NIACC will offer an integrated production welding course from July 25 through August 24. The welding portion of the course will meet Tuesdays, Wednesdays, and Thursdays from 5-9 pm. The basic skills portion, Math and Reading for Manufacturing, will meet Tuesdays, Wednesdays, and Thursdays from 2-4:30 pm. The course will be offered free of charge for those adults who qualify for Adult Education & Literacy services. Tuition assistance for the welding course only for those not qualifying under the Integrated Education and Training Grant is also available. For more information about eligibility requirements, contact Sandra Leake at 641-422-4176.